In the traditions, a Moroccan family would have at least one silver set as beautiful, solid, and finely handcrafted as this set or close. 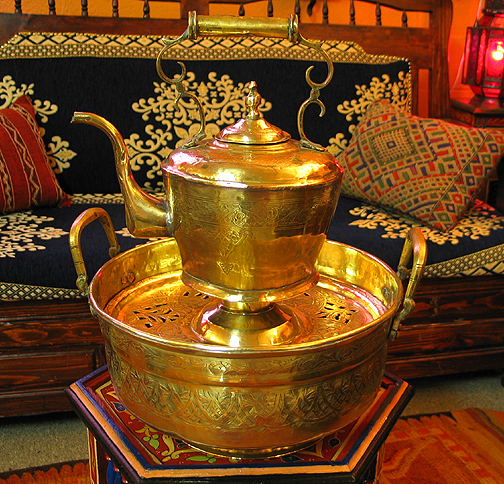 It is used to offer the guests to wash their hands before and after eating. This superb silver set has 3 pieces, pitcher, water tray and a cover for the tray. When the set is not in use, Moroccan families would have it polished and displayed at home making for a special home decor.